The heart of Aomori, put into cooking. Welcome to Restaurant Kurayoshi's homepage. Our new 《Tempou-no-ma》 area is now complete. Hello! Please feel free to drop into our restaurant. 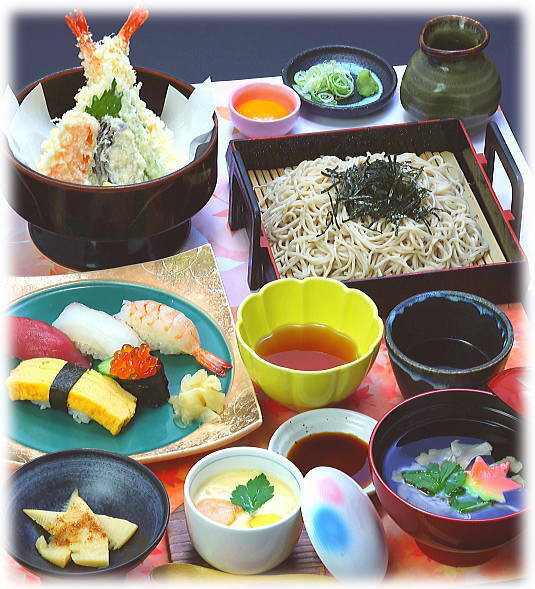 We make delicious local Japanese food, and welcome you warmly. The building is a storehouse from the Edo Period, in the castle town of Kuroishi. Special Menu The set meals cooked in Aomori prefecture's material. Please send us your questions by email.